Learn how to make chocolate nest for Easter. Fill them with candy eggs and chocolate birds for kids. 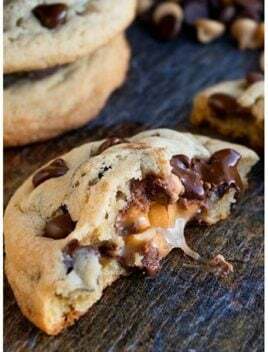 Requires simple ingredients and just 20 minutes. 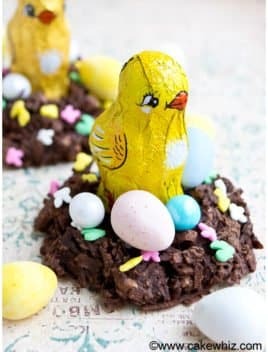 I have seen many different versions of this easy Easter chocolate nest recipe. There are chocolate bird nests with chow mein noodles and chocolate bird nest with shredded wheat and even chocolate nests with pretzels. All of these chocolate bird nest recipes are cute and crunchy with lots of chocolate. However, my favorite version is this coconut chocolate nest. 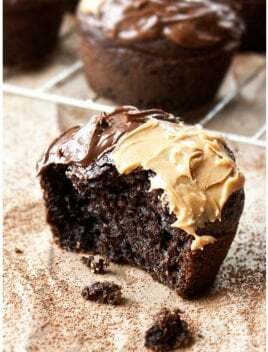 These ones have a chewy texture and the combination of chocolate and coconut flavors is always heavenly. I also like to add some almonds for a subtle crunch. You can add whatever nuts you like or omit them altogether. To be honest, I think every household makes these bird nests during Easter time but everyone puts their own SPIN on them. So, get into the kitchen with your kids and have fun making some wonderful memories! 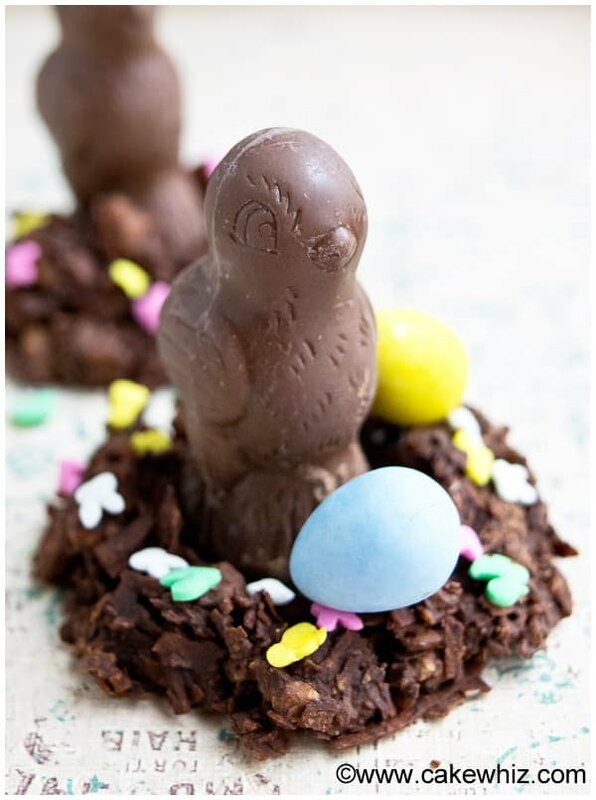 Btw, do you see how CUTE those those chocolate birds look, sitting on the nests, all wrapped up in their pretty foil?! Well, once I unwrapped them, I found them to be a little FRIGHTENING. So, I suggest NOT removing the wrappers…lol. What do you guys think? Cute OR scary?! How do you make a chocolate nest? 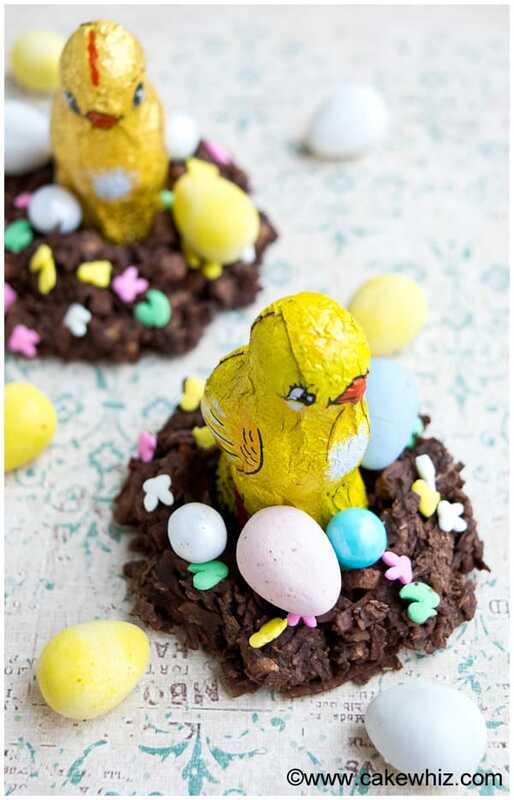 How do you make chocolate Easter nests? 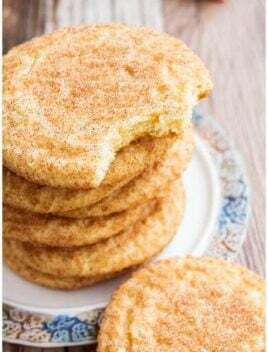 How do you make bird nest cookies? The process is very simple. Start off by mixing together coconut, almond and melted chocolate. 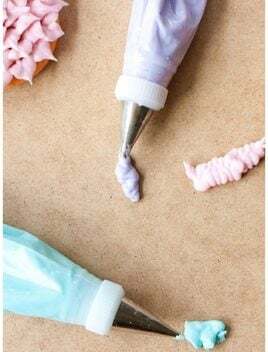 Drop tablespoons of this mixture onto a sheet of wax paper. Make a hole in the center and stick a chocolate bird there. Toss some sprinkles and mini Easter eggs candies. 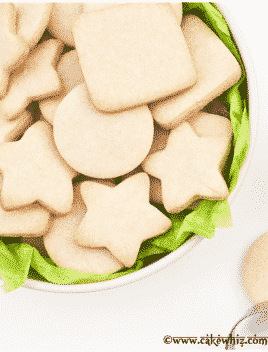 Let the cookies set and enjoy! Lightly toast the coconut and almonds in the oven at 325 degrees for 8-10 minutes. In a mixing bowl, add the toasted coconut, almonds and melted chocolate. Mix everything with a spoon until you have a sticky mixture. Drop tablespoons of this mixture onto a cooking tray, lined with wax paper. Push your thumb or the back of a wooden spoon in the center of each cluster (similar to a thumbprint cookie). Stick a chocolate bird in the center of each cluster and toss some sprinkles. Also, stick some mini chocolate eggs and Sixlets around each cluster. Chill in the fridge until chocolate coconut cookie clusters are firm. Enjoy! 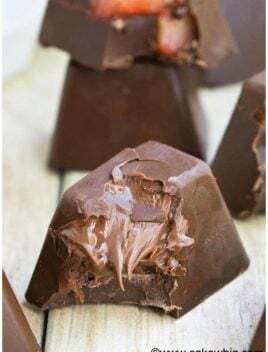 If the candies are not sticking securely to the nest, you may have to stick them with a little bit of melted chocolate. It acts like a glue.